Alain Breugelmans was born on February 21st 1947 in Orleans, France, but because his parents had the Belgian nationality he became a Belgian. At the age of 3 his mother moved back to Belgium. Four years later, at the age of 7, he moved to Holland where his mother had founded a company. In 1995, after 42 years in Holland, he returned to his motherland, Belgium. Alain Breugelmans started Kyokushin Karate in 1973. The first year he trained under senpai Brants and senpai van der Stelt who were running a dojo under shihan Loek Hollander’s wings. After about one year he was advised to join the Dutch honbu dojo of shihan Hollander in Rotterdam. There he was not only lucky to train directly under shihan Loek Hollander but also under shihan Loek Hollander’s right hand: shihan Peter Voogt. Also shihan Henny Ruberg and shihan Roel Wildeboer have been of great importance to him. In January 1980, Alain Breugelmans went, together with Roel Wildeboer, to the USA to train under soshu Shigeru Oyama in Fairfield, Connecticut. There he trained 6 days a week, 4 to 5 hours a day during his 5.5 months stay. Besides soshu Shigeru Oyama, he was very lucky to have shihan Fuchiwara and sensei Hioki as teacher. In January 1981, at the age of almost 34, he had a severe car accident and was unable to train for more than 7 months. Due to serious head injuries, the physicians did not allow him to do any form of contact sport any more. Nevertheless he went back, together with shihan Henny Ruberg, to soshu Shigeru Oyama for 6 weeks. Together, in May 1982, they had the luck to be present at the grand opening of the New York Kyokushinkai Honbu Dojo on the Avenue of the Americas (the 5th Avenue). In 1983 he went back again to the USA to train for one month under soshu Shigeru Oyama. In 1985 he started his own sport center “De Sportarcade” with a separate karate dojo called “Nintai”. In 1988 the N.K.A. 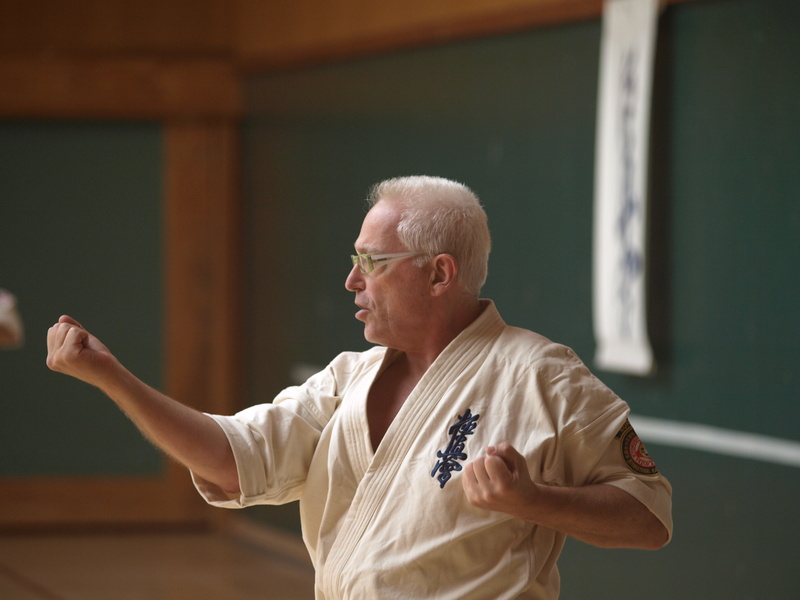 (of with he was a member) left shihan Hollander and joined soshu Shigeru Oyama, who had started his World Oyama Karate organization a couple of years before. After the N.K.A. separated from the W.K.O. in the summer of 1994 he stayed with soshu Oyama. Unfortunately this was the last contact he had with soshu Shigeru Oyama, even after several trials to communicate. Alain Breugelmans always considered soshu Shigeru Oyama as a respected friend and as the teacher who influenced him the most. In 1995, before moving to Belgium, he handed over his dojo Nintai to his black belts Carlos Lont, Iwan Lont and Mehmet Basalan. In Belgium he was very soon involved with karate again and he had to go back to his roots, Kyokushin karate, because there were no W.K.O. dojo in Belgium and all the people he met where Kyokushin (but of course Oyama Karate and Kyokushin Karate are much related). 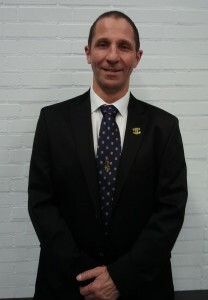 In 1999 he was asked by several clubs to become Belgian country representative of the I.F.K. (Hanshi Steve Arneil) which he accepted, but only for one year. After that year he decided to stop completely with karate and left the Belgian I.F.K., having enough of all politics and games that where going on. After several invitations from shihan Sjaak van de Velde he accepted to participate at a Kyokushin reunion. To his surprise he was nominated godan by kaicho Jon Bluming for all the work and effort he had done in all those years (I.B.K.). In 2001 he was invited at I.B.K. summer camp in Hungary. There he was unexpectedly promoted to rokudan by kaicho Jon Bluming (I.B.K.). In 2004 he visited Canada to shihan Michel Bégin to meet kaicho Toru Tezuka (IKO Tezuka Group). After several meetings, he decided to join the International Kyokushin Tezuka Group and after he had taught several times in his presence he was well accepted as a rokudan by kaicho Toru Tezuka. Soon afterwards he became technical director for Europe. In July 2005 during his stay in Japan with kaicho Toru Tezuka he was asked to be chairman (shuseki) of the European Kyokushinkai Tezuka Group. Knowing that this meant a lot of work, he accepted this task which he fulfilled with great devotion till the end of his life. For several years until his death, he had a dojo in Brasschaat, Belgium, where Belgian and Dutch black belts (yudansha) from the Tezuka Group and various Kyokushin groups trained together under his guidance regardless of affiliation, thus following the Kyokushin Way to preserve Sosai’s heritage the best he could. The name of his dojo was “Bubaru” which means “to be martial” in Japanese. Shihan Alain Breugelmans died in Belgium on May 5th 2014 after a long fight against a brain tumor. On July 29th 2014, kaicho Toru Tezuka posthumously promoted shihan Alain Breugelmans to kyudan at the occasion of a ceremony organized at the EKTG summer camp in his memory.